Our removal service ensures your home move is carried out in a stress-free manner, just sit back and let us take care of the whole process. We can send you up to 3 people and move everything that is physically possible. 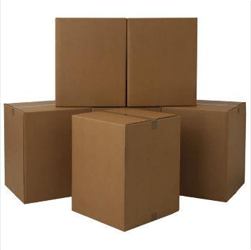 We are able to move even large and odd-shaped items. End to End will assist you during the relocation from start to finish – from the planning stages to the completion. Everything executed by one reliable company, saving you time and money. And we will do it without disrupting your busy schedule – our work schedule is designed for your comfort (working at night, weekends and bank holidays) covering all areas in Greater London and we are just one call away from you. All teams in-house trained with years of experience in the house removals service. The staff is personally interviewed, uniformed and insured and ready to be dispatched, anywhere in London. Take advantage of various deals and discounts. When combining two or more services, for example – booking your removals with a one-off cleaning, you get a 10% discount. In order to keep our customers happy, we go the extra mile to design and improve our moving house services. For example, you can call us any time of the day, seven days a week. We offer same-day service, although that would depend on the availability of our teams, please call us to check if we have available slots. Scheduling the full relocation package will entitle you to a guarantee, your possessions are insured in case of any damage to them. For example, if you combine a pre- or post-tenancy cleaning with home relocating services you will get 10% OFF the end of tenancy. View our prices page for information on the cost of each service. Feel free to call us if you have any questions or have any specific requirements. We strive to perform everything with professionalism and high standards in mind because our customers are important to us. Your cleaners just left and oh my god how they left the place. Squeaky clean, even behind the greasy oven which now looks like new. I also ordered home removals service and my belongings arrived safely, so no issues whatsoever. Please send my best wishes to both of the teams. Get in touch with us on 020 3404 5102. We are available 24/7 and one of our friendly operators will gladly assist you. Alternatively, you can fill in our contact form and receive a free, no-obligation estimate.